Have faith. Not just floating faith, not just a make-believe faith, but a real faith. Now, faith is a conqueror. Faith is an overcomer. It just isn't a—a peace-maker. It overcomes. 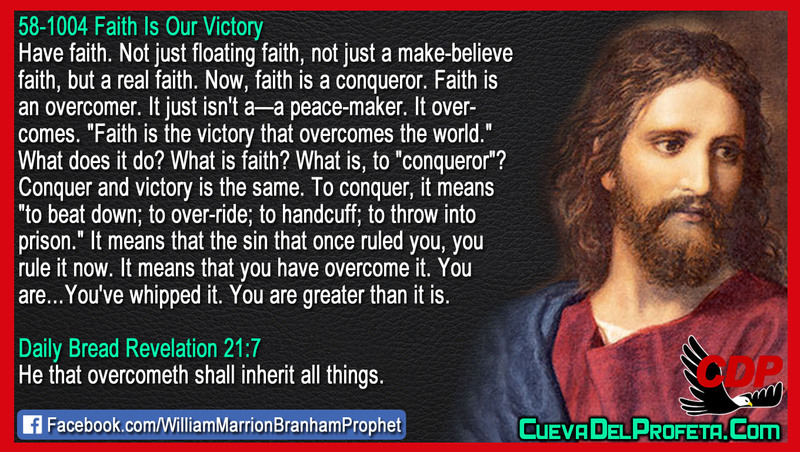 "Faith is the victory that overcomes the world." What does it do? What is faith? What is, to "conqueror"? Conquer and victory is the same. 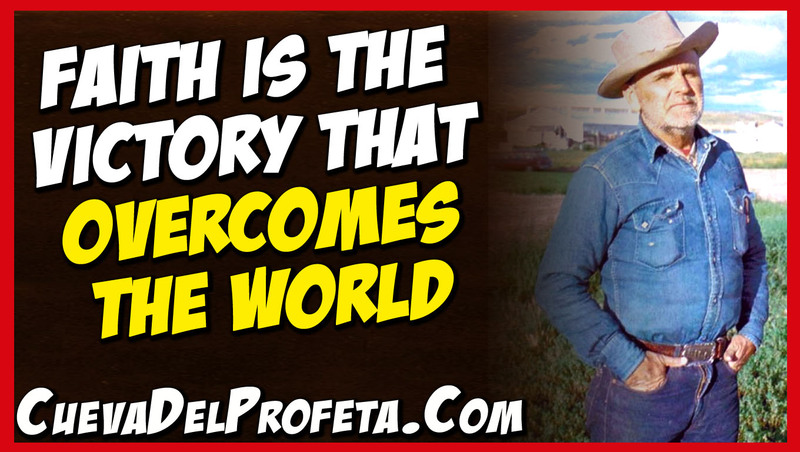 To conquer, it means "to beat down; to over-ride; to handcuff; to throw into prison." It means that the sin that once ruled you, you rule it now. It means that you have overcome it. You are…You've whipped it. You are greater than it is. He that overcometh shall inherit all things.